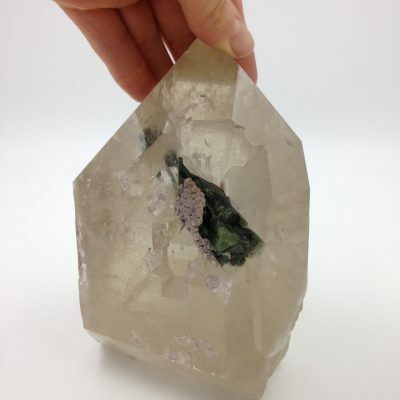 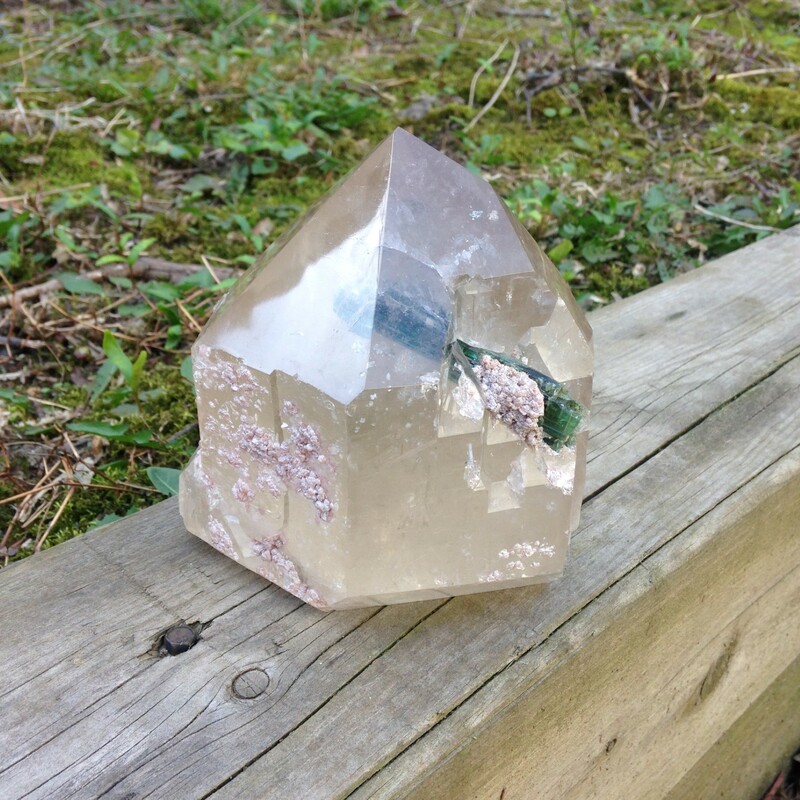 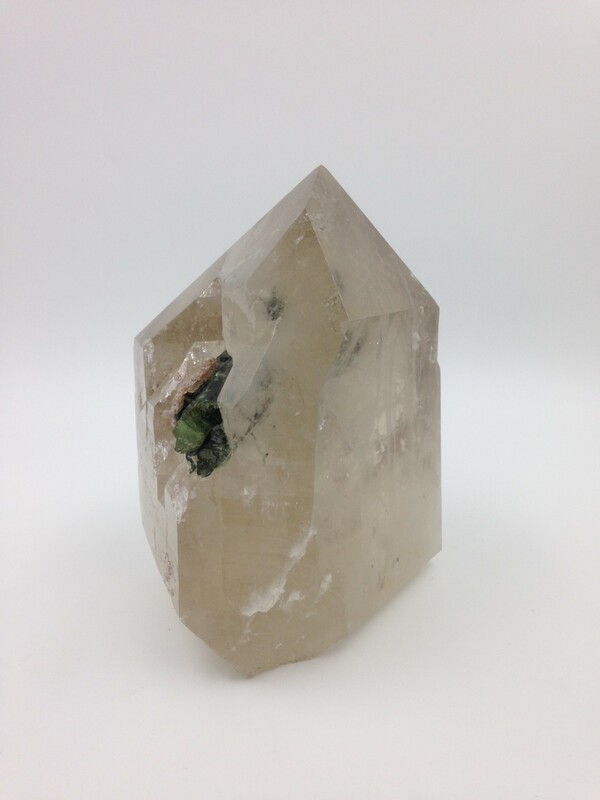 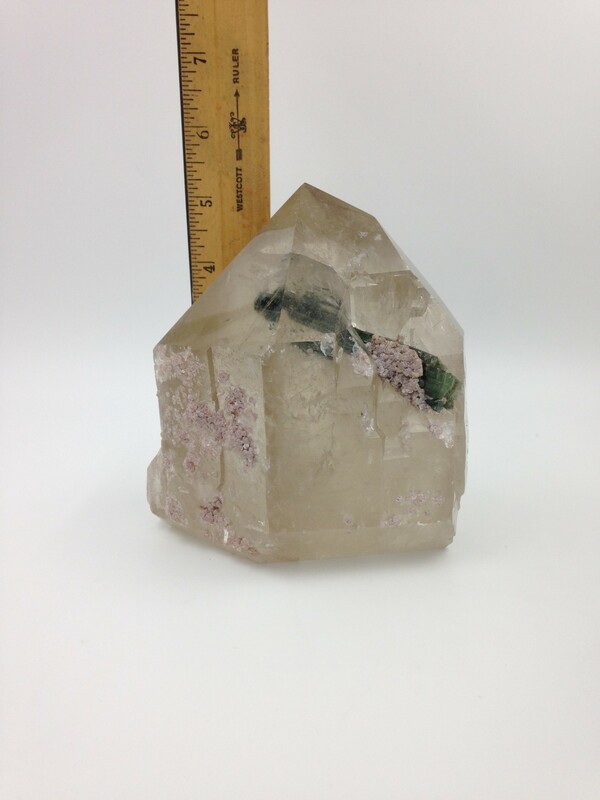 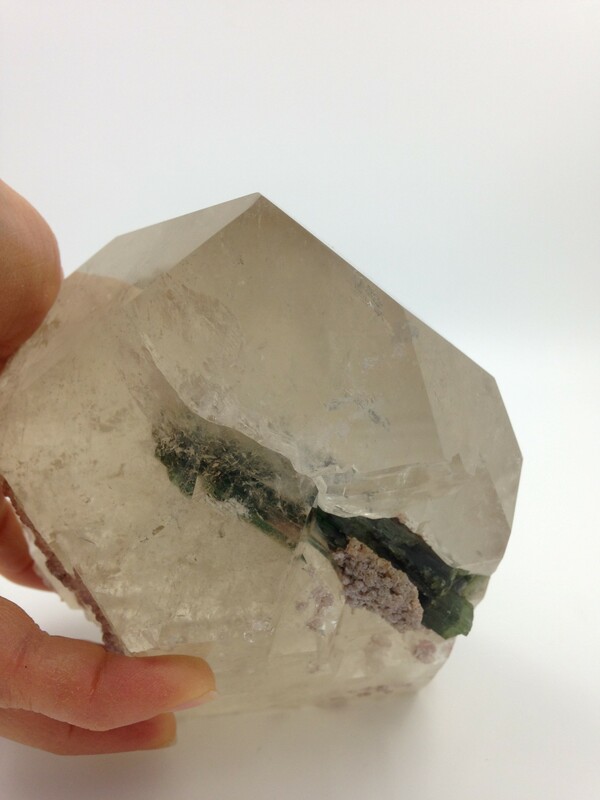 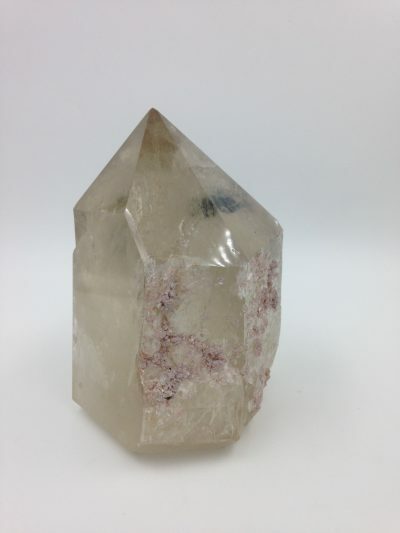 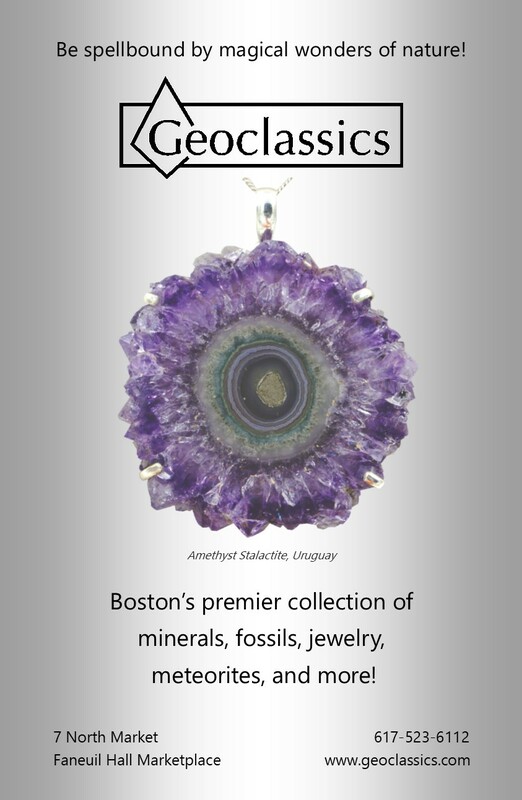 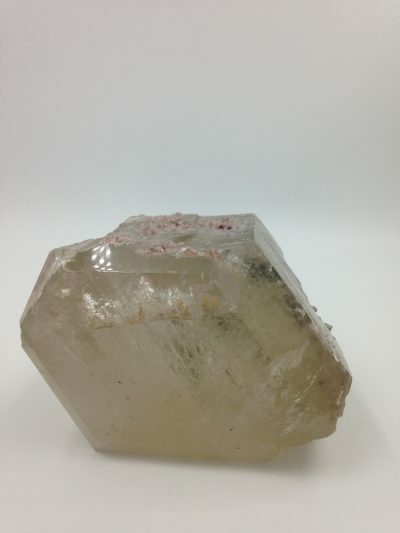 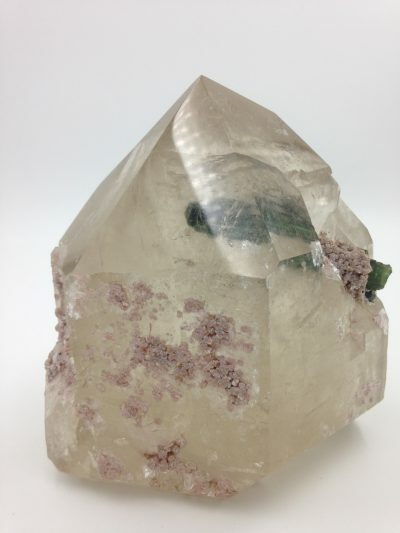 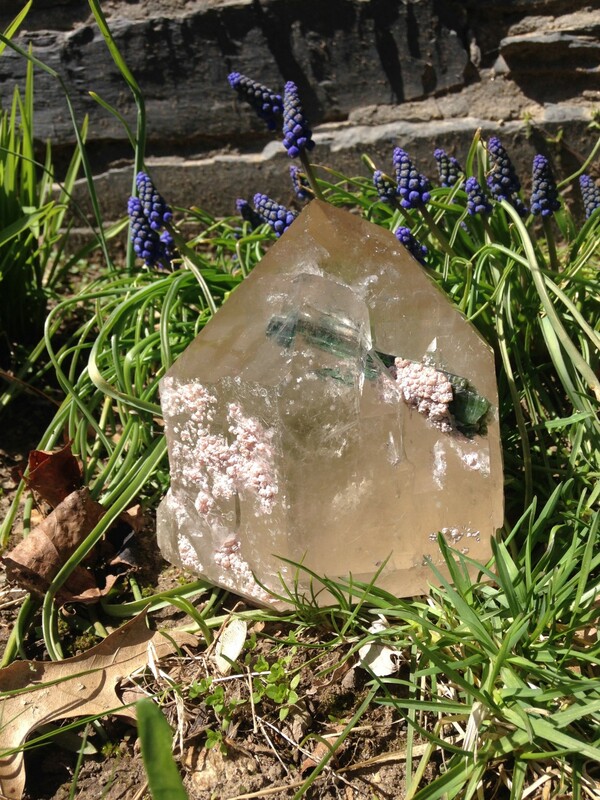 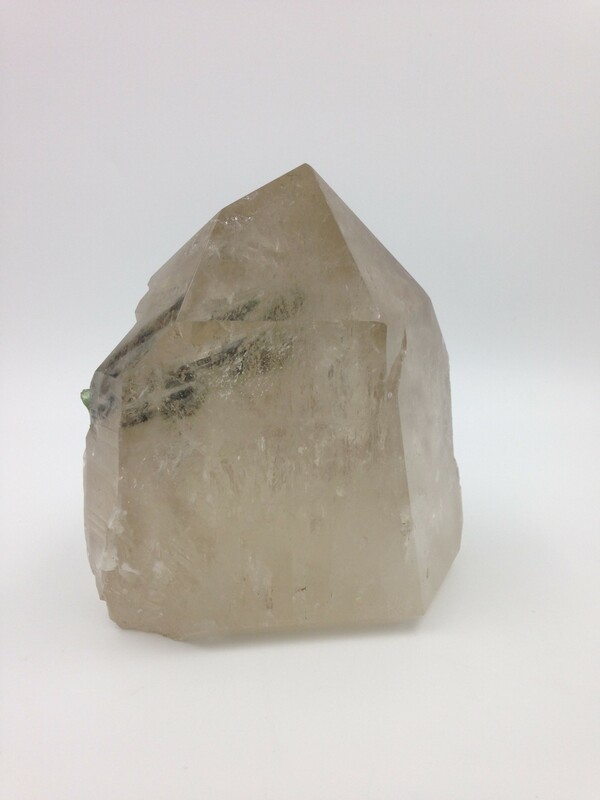 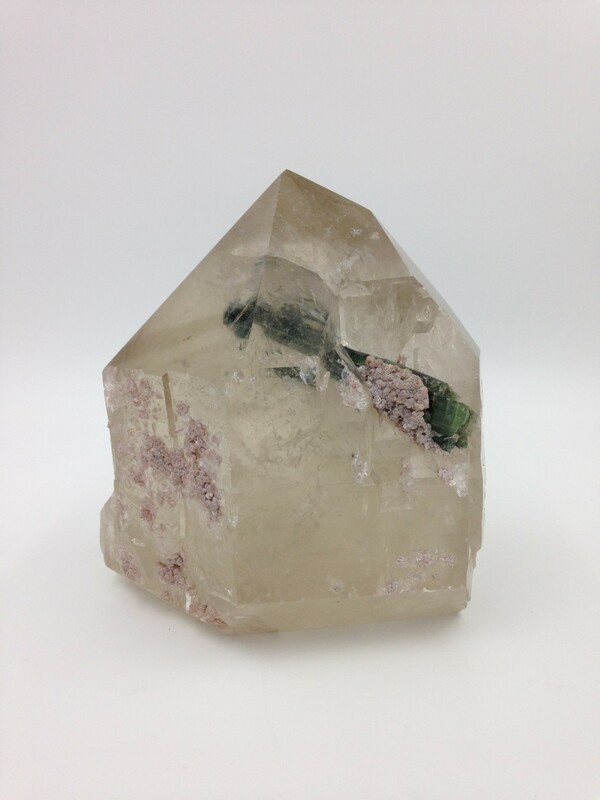 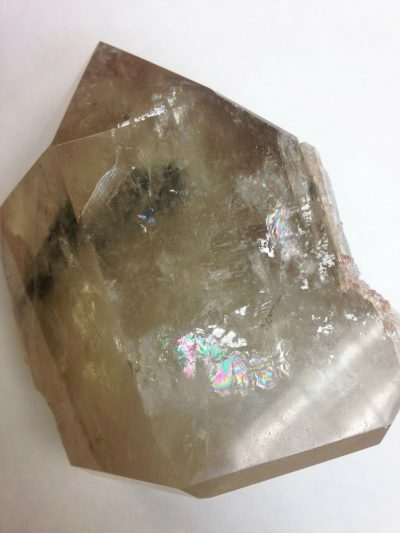 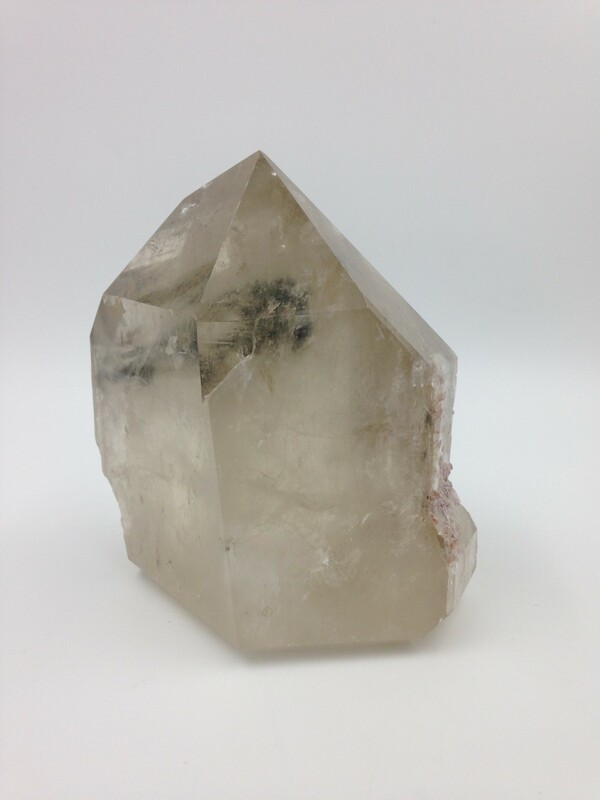 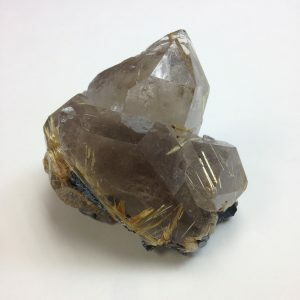 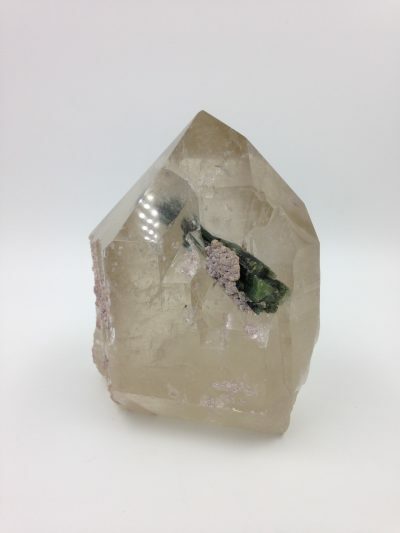 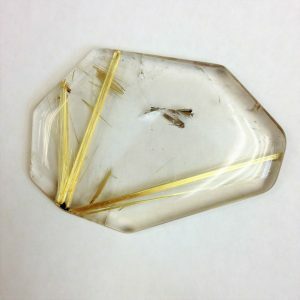 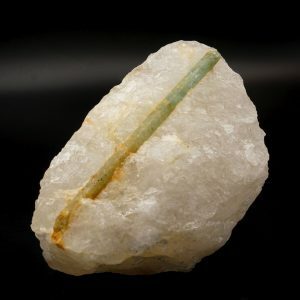 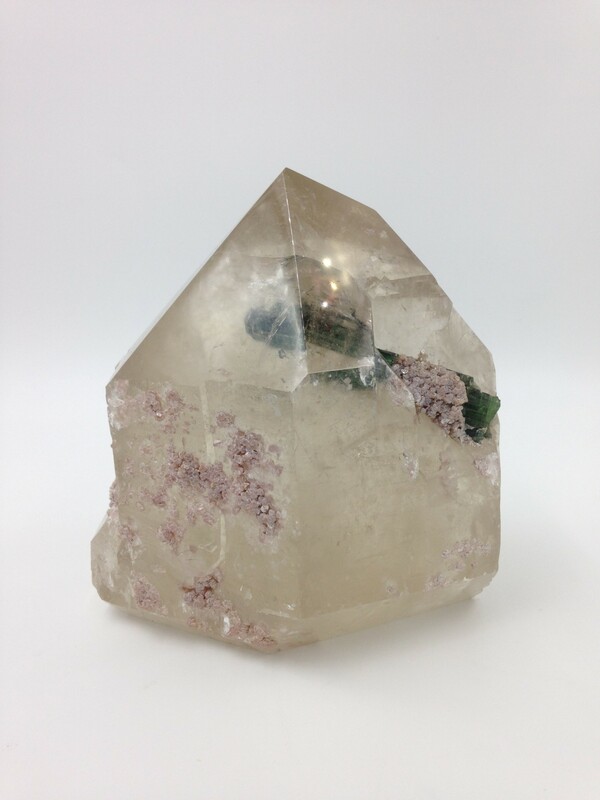 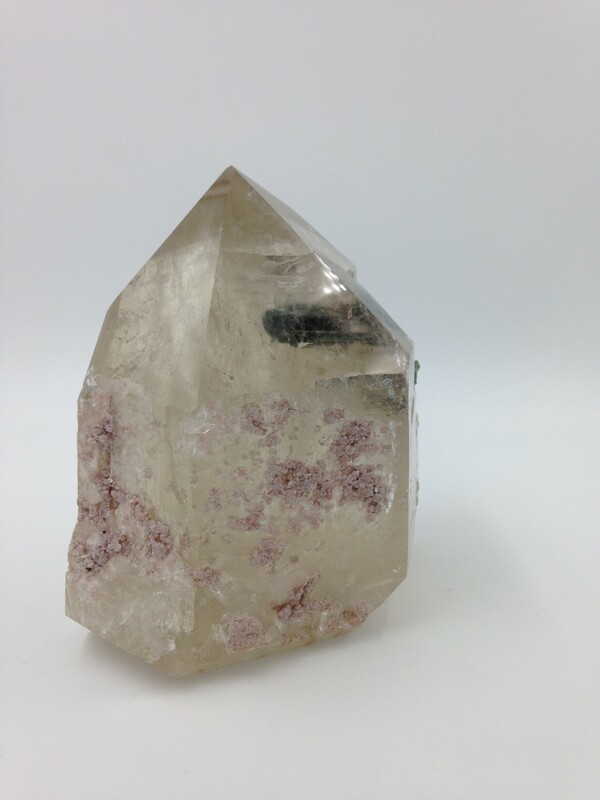 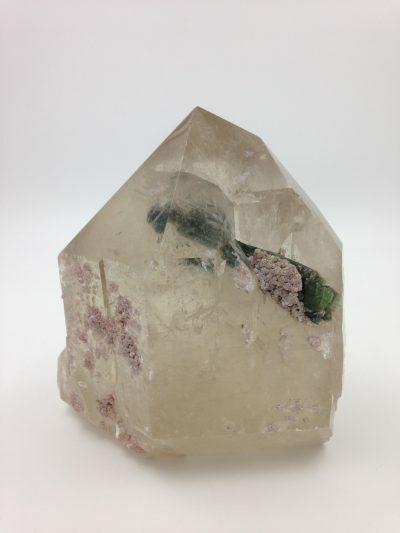 Wonderful smoky quartz generator/point with a large internal/external green tourmaline crystal and a spraying of lepidolite on its exterior. We get positive feelings just looking at it! This rare beauty is from Brazil.